Could the Key to a Good Day be as Easy as ABC? The ABC of a Positive Day ~ Authenticity, Beliefs & Choices. The basis of a positive day lies in the realisation that we are responsible for the type of day we have. We often allow others or external circumstances to determine what type of day we will have, but we need to take the power back by setting the intention each morning that the day will be a good one. The ABC of of a good day lies in mastering three basic factors: Authenticity (A), Beliefs (B) and Choices (C). Authenticity in its most basic form, means to be real. This arises from self-awareness and self-acceptance (despite any flaws or perceived weaknesses). Its not uncommon to fall into the trap of living up to others’ expectations ot emulating others who we perceive to be more popular or successful. Authenticity means to be comfortable with who you are and to express yourself genuinely, without fear of being rejected or criticised. What we feel on the inside needs to match our external expression. It sometimes means going against popular opinion and not following trends. By giving yourself permission to be authentic, you allow yourself to feel free, to speak your mind and express yourself as you choose. When you feel free to be yourself, its takes a huge pressure off your shoulders, because you no longer have to make choices that are inconsistent with what you feel. Our beliefs determine how we interpret our experiences during the day. If we have negative core beliefs, then we are likely to interpret our experiences negatively. It helps to first become aware of the current beliefs you possess. These may have their roots in early life and have often been shaped by significant others and early experiences. We typically have core beliefs about ourselves, the world and others — these arise out of childhood experiences. Our beliefs about ourselves are shaped by messages we receive from significant others while growing up. If you grow up with negative messages about yourself, they become internalised and you begin to accept them as true. In the same way, we develop beliefs about the world and others. Once we are aware of the beliefs we currently hold, the next step is to challenge these beliefs. Look for factual evidence for and against these beliefs. This will aid in transforming your beliefs to more positive, though realistic ones. Because our beliefs largely influence our feelings, positive beliefs are likely to result in a more positive day. From the moment you open your eyes in the morning, you have choices. 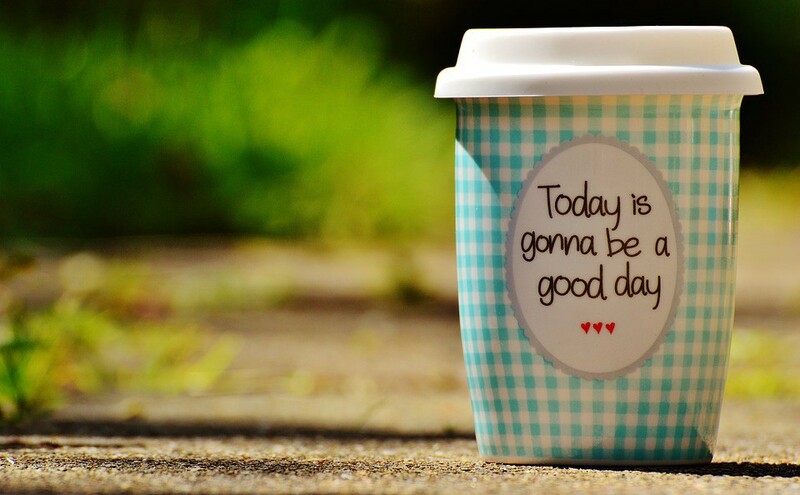 It helps to set the intention upon awaking that today will be a good day. Realise that you can make choices that will determine the tone of your day. Regardless of external circumstances, you can choose how you will react. Even if something does not go your way, you have the choice to acknowledge your feeling and decide that it will not ruin your entire day, before focusing on something else — or focusing on what you are still grateful for despite the setback. You can choose to do things that will uplift your day — e.g. listen to music that improves your mood, participate in activities that you enjoy and spend time with people who inspire you (and less time with people that drain you). So each day, before you react to anything, remind yourself that you have a choice and consider which option is likely to contribute to a positive day. The three keys to a positive day are in your hands — the choice to unlock a good day is yours!